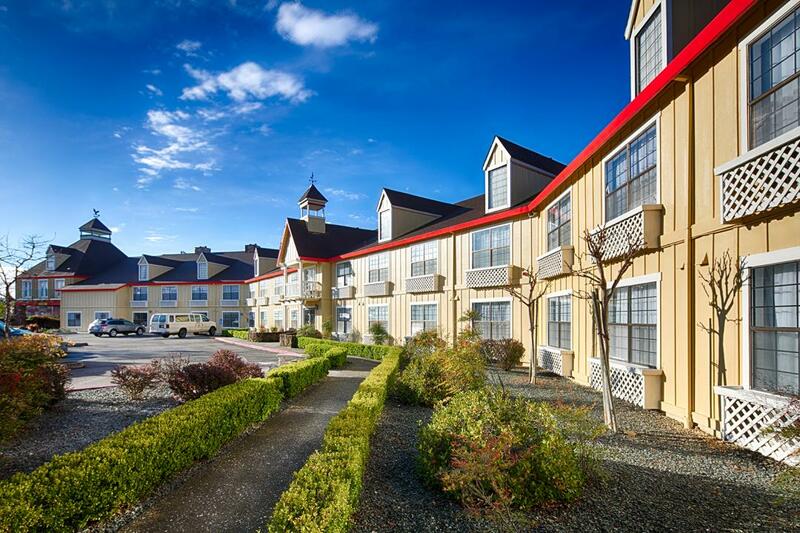 Plan your next trip to northern California's historic Gold Country with a stay at Red Lion Inn & Suites. As a perfectly located hotel in Auburn, California, Red Lion offers convenience and comfort as you explore this California Historical Landmark city. Close to major Northern California cities including Sacramento, Folsom, and Roseville, but near the natural wonders of the Sierra Nevadas and the American River Canyon, Red Lion Auburn offers urban comforts coupled with a charming historic landscape. Experience Auburn in comfort and unwind with a wealth of hotel amenities and services offered at Red Lion Inn & Suites. 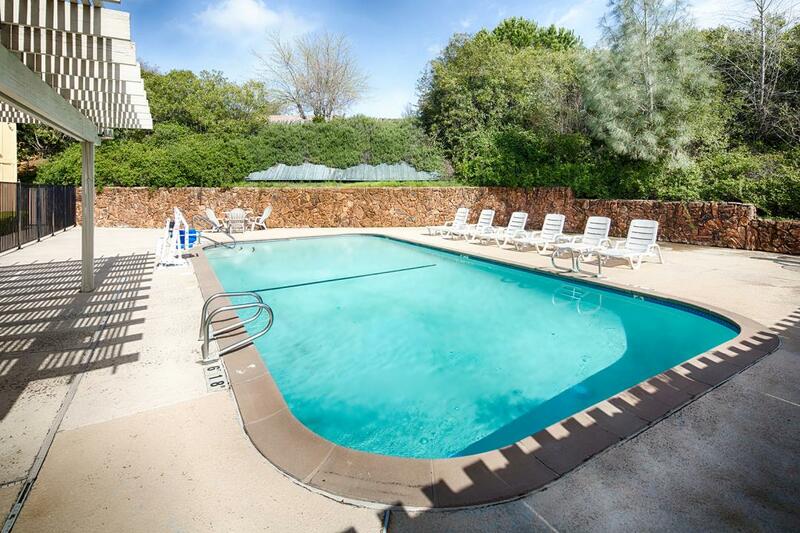 Check out our spacious and open accommodations. 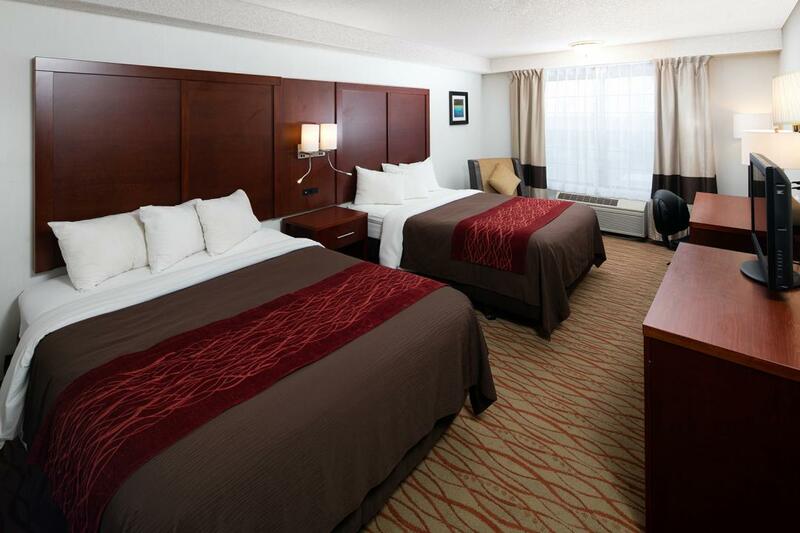 Get comfortable and take advantage of complimentary hot breakfasts, Wi-Fi, fitness center, free parking and much more. 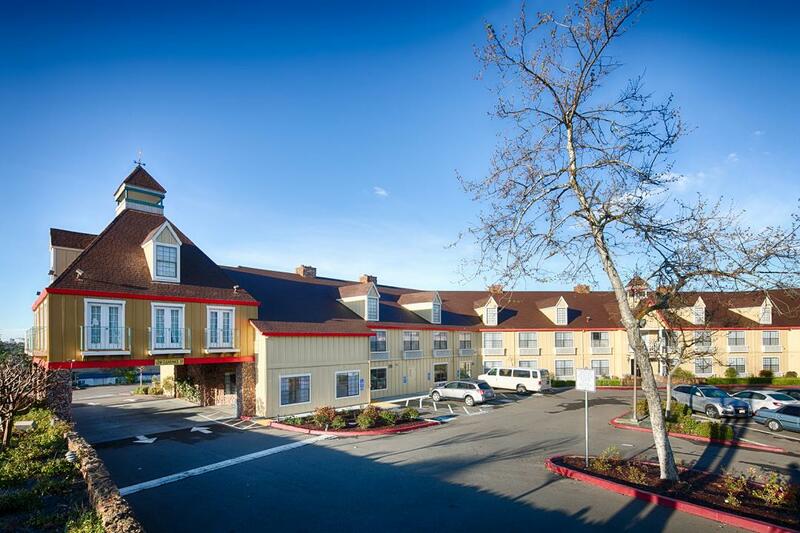 Stay at Red Lion Auburn and discover Northern Californian hospitality at a service-oriented and budget-friendly hotel. Known for its role as a Mining Town during the Gold Rush, the city of Auburn continues to draw travelers of leisure and business from across the U.S. and abroad to explore its wineries, golf courses, hiking trails, art galleries and museums, casinos, and nightlife. Visitors also enjoy exploring the renowned Auburn State Recreation Area, home to the most endurance sports events and races in the world. Great hotel accommodations and service can make your business trip or vacation more enjoyable. 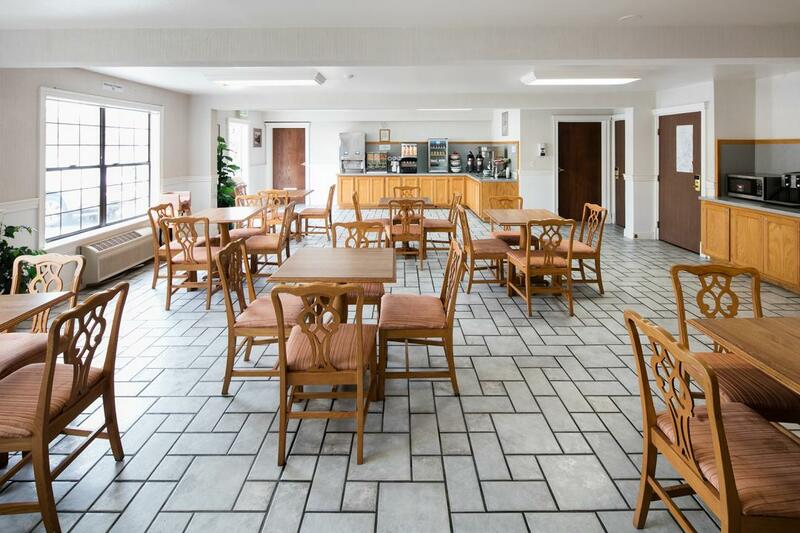 This is why Red Lion Inn & Suites offers a host of useful amenities, convenient features, and specialized services to give hotel guests in Auburn, CA the best possible experience - at the best prices. Our friendly and knowledgeable staff is available to make sure your stay in Northern California is enjoyable and comfortable. Be sure to ask the front desk for tips on the best activities and attractions in Auburn, special requests to make your stay better, or just to say hello. With its geographic and cultural diversity, dining in Auburn, California is never dull. From fine wine bars to classic delis, restaurants in Auburn offer diners of all tastes a variety of options to satisfy even the pickiest eaters. Enjoy complimentary breakfast featuring a hot continental buffet during your stay and discover new favorites at the hottest restaurants in Auburn where foodies from across the country come to dine at on-trend eateries. Stay at Red Lion Inn & Suites in Auburn, CA and experience local dining to find out for yourself what Northern California flavor is all about. Start your day off right with a satisfying breakfast – on us. Red Lion Inn & Suites is proud to offer guests a complimentary continental breakfast buffet each morning. Red Lion’s signature breakfasts are a great way to begin a fun-filled day exploring Auburn and feature hot and cold breakfast foods to satisfy any appetite. Let us handle breakfast so you can focus on making the most of your Auburn vacation or business trip. Exploring all Northern California has to offer can lead to quite an appetite. Indulge in Auburn, CA’s best restaurants, spanning all cuisines – from exotic Asian eateries to classic American fare – during your stay at Red Lion Inn & Suites. Be sure to dine at of one these top Auburn, CA restaurants near the hotel for lunch and dinner, or stop by the front desk for more recommendations from our friendly staff. Housed in one of the oldest buildings in historic Auburn, Carpe Vino features classic American dishes with a refined French twist. Along with a delectable entrée and small plates menu, Carpe Vino offers guests a fully stocked wine store and bar, including local wines from Northern California Wine Country. Purchase a bottle to bring to dinner or take home, or sample exotic blends at the wine bar while you feast. A favorite among locals and visitors, Max’s Deli offers diners a classic delicatessen menu featuring overstuffed sandwiches, hearty soups, and mouthwatering salads. Stop by this local staple for lunch or pick up some grub for an outdoor picnic at one of Auburn’s beautiful national parks. Lovers of exotic cuisine come from near and far to revel in the eats at Auburn Thai Garden Restaurant. Offering a full seafood, fish, and meat lunch and dinner menu featuring authentic Thai dishes. Auburn Thai also offers diners a vast vegetarian menu. Featuring farm fresh local fare, Bistro 103 is quickly becoming one of Auburn’s hottest restaurants. Munch on classics like sliders, po’ boys, and Bistro 103’s signature sandwiches while enjoying a selection of wine or beer from the bar. Menu items draw inspiration from all over the USA, offering sumptuous and unexpected combos that are delicious and will have you coming back for more. With its central location in historic Auburn, California, Red Lion Inn & Suites is pleased to offer comfortable accommodations at competitive rates for corporate guests as well as wedding and event groups. Located close to several event and conference venues in Auburn, Red Lion Inn & Suites will happily provide block rates and group accommodations for travelling parties so you can attend your affair refreshed and relaxed. Need help planning your group travel to California? Contact our knowledgeable staff, who can provide assistance in planning your next corporate getaway or accommodate your wedding party. Northern California offers some of the most beautiful wedding venues and spacious conference and meeting spaces in the country – Auburn is no exception. Whether you are looking for a place to host a corporate event or seminar, or are seeking a picturesque venue for a wedding, historic Auburn has every option to suit your event planning needs. No matter what brings you to Northern California, there are plenty of things to do to make your stay at Red Lion Inn & Suites Auburn memorable. Historically, visitors were drawn to Auburn for its gold mines. These days, tourists come from near and far to soak in the region's rich history at Old Town Auburn, revel in the many area wineries, compete in national sporting events, explore the area's vast outdoor wonders, tee off at one of many golf courses and so much more. Red Lion Inn & Suites puts you in the center of all the best things to do in Auburn, while providing pampering amenities to leave you free to explore the region. Come with the kids for outdoor family fun or with a group of friends for a thrilling casino getaway; Auburn is a city with something for everyone. Located along 40 riverfront miles, Auburn State Recreation Area is an outdoor paradise that welcomes more than 900,000 visitors each year. One of Northern California's largest and most popular national parks, Auburn State Recreation Area features plenty of outdoor recreational sports and activities including hiking and biking trails, horseback riding and equestrian trails, fishing and swimming lagoons. Home to more endurance races and sporting competitions than any other outdoor area, Auburn State Recreation Area is the perfect place to experience the outdoors in the heart of Auburn. This world-famous park is also an ideal setting for outdoor picnics, scenic strolls, and soaking in the stunning Northern California landscape. Whether you are visiting for fun and leisure or are competing in one the many races held in the park, Red Lion Inn & Suites is located just five minutes away and is the best hotel near Auburn State Recreation Area for unwinding after a long day of exploring the great outdoors. Pack up the kids and experience fun activities in Auburn, CA for the whole family. From educational outings to adventure-filled day trips, Auburn offers plenty of family-friendly activities that everyone can enjoy. Downtown Auburn’s charming, old-timey district that captures the city rich history, while celebrating it today, Old Town Auburn is the perfect place for visitors of all ages. In Old Town Auburn, you can find museums and participate in art walk tours along cobblestone streets, enjoy food and fare from cultures near and far, and join in weekly celebrations of music in a festive street fair atmosphere at the Gold Country Fairgrounds. Whitewater rafting, waterskiing, boating, and all sorts of adventure await at the American River Canyon. Red Lion Auburn is located minutes from the North Fork of the American River, one of the most popular rafting and kayaking destinations in Northern California. Take in the scenery while embarking on the thrill of a lifetime when you experience the rapids of the North Fork. Outdoor watersports not for you? There are still ways to get wet in Auburn. Take the short drive to Roseville and experience one of Northern California’s most thrilling waterparks at SunSplash. SunSplash is not your typical waterpark; you can find arcade games, miniature golfing, and a race track, in addition to the plethora of pools, slides, and water rides. Head out for a day trip to Pleasant Grove, CA’s Wake Island Waterpark for 80 acres of water madness, including wakeboarding and paddle boarding. Located between Old Town and downtown Auburn, this historic venue embodies the art deco era of its origin and invokes the spirit of Grauman's Chinese Theater. Seating 340 patrons, the venue features a movie screen and a state of the art sound system. Located on the National Register of Historic Places, the museum offers an overview of Placer County history and the Pate Collection of Native American artifacts. It also features the treasury where the Museum's gold history is displayed. This historic structure was built after the fire of 1855 and served as a temple and house of worship for the area’s Chinese population. At one time, the area was home to a seedy red light district, opium dens and card rooms. Located in the old Auburn Depot Building in Downtown, the Gold Rush Museum interprets Placer County’s Gold Rush history. The Gold Country Fairgrounds in Auburn offers a limitless array of world class fairs, festivals and expos. The Gold Country Fair takes place during the first week of September. Bring your sense of adventure to such trails as the American Canyon Trail, Clarks Pool Trail, Codfish Falls Trail and Foresthill Divide Loop. Organized by volunteers in 1991 on a scenic woodland site near Auburn, Placer Nature Center presents environmental-based education programs for all ages. What visit to Northern California is complete without a local shopping spree? Whether you are in the market for designer goods and clothing, handcrafted local souvenirs, or a memento from your visit, get your shopping in Auburn done at any of these nearby malls, shopping centers, and boutique stores. One of the most popular malls in the region, Westfield Galleria boasts more than 200 stores, including upscale designers and luxury brands like Louis Vuitton, Kate Spade, Tiffany & Co, and Burberry, along with department stores including Macy’s, J.C. Penney, and Nordstrom. Shop till you drop before heading back to our hotel located just 20 minutes from the mall. Pick up authentic Auburn souvenirs and gifts on your family visit to Old Town Auburn where specialty shops and niche boutiques offer antique, handcrafted, and specialty items reflecting the area’s colorful history. Shop for eclectic gifts at Erie Things or customize a piece of art at Wizards of Metal; indulge in artisanal soaps at Apothecary 321 or find a treasure at Acentos de Mexico, all located in the heart of Old Town Auburn and minutes from Red Lion Inn & Suites. Look no further for the highlight of the Auburn, CA nightlife scene than Thunder Valley Casino. Located less than 20 miles from our Auburn hotel in neighboring Lincoln, Thunder Valley Casino boasts over 3,000 slot and video machines, 125 table games, and a live poker room, along with a popular concert venue that attracts hundreds of top music and comedy acts throughout the year. Test your luck at Blackjack, Mystery Card Roulette, Ultimate Texas Hold ‘Em and tens of other exciting card and table games after a day of exploring outdoor Auburn.